You will be mesmerized with the Panoramic Ocean and River views from your over 45 ft. wide balcony. popular Brighton model layout with expansive oceanfront Living rm, two oceanfront bedrooms, and additional 3rd bedroom with custom French doors. This pristine property has a fully updated open kitchen, beautiful custom cabinetry with soft close drawers and S/S appliances. 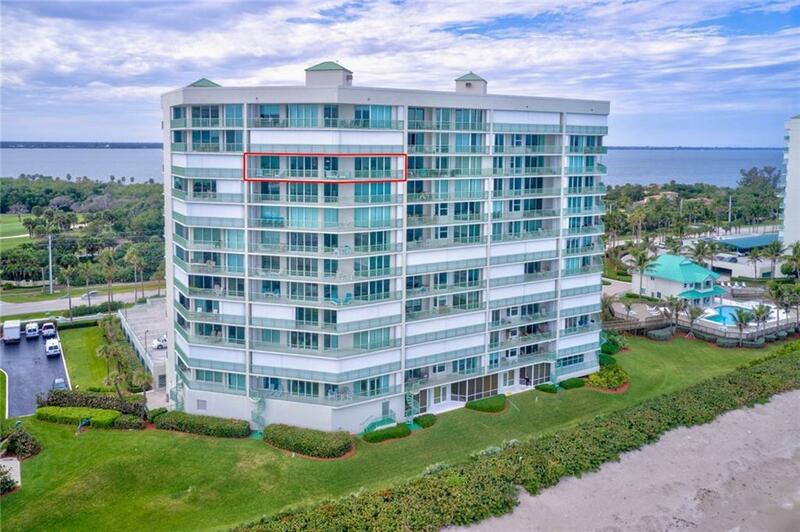 The master bath has been completely remodeled with neutral stone like tile floors, walk in shower and separate soaking tub, updated cabinetry w/solid surface tops.5 star amenities include, Oceanfront Social, billard, library and state of the art fitness rooms. Under bldg. parking, 24hr. Manned security, Oceanside pool, clubhouse, and hot tub, Golf and tennis CC membership included with purchase. Boat slips sold separately. Sold furnished minus sellers personal items. This property will not last.